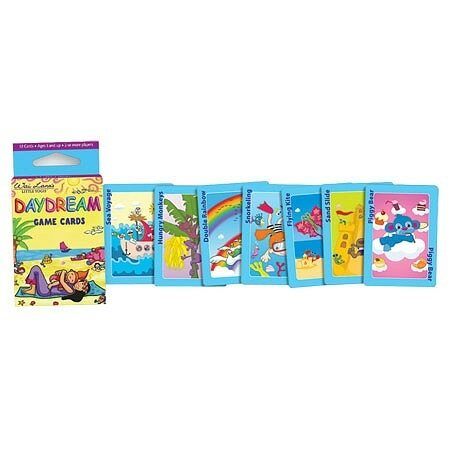 Wai Lana Little Yogis Daydream Playing Cards1.0 ea. Kids bored, with nothing to do? Not anymore! Give them Wai Lana's Daydream Game Cards and watch playtime come alive! Daydream Freeze Tag - Put your acting skills to use when you're "frozen." Full of colorful scenes from fun-filled daydreams, this delightful deck is designed for ages 3 and up.